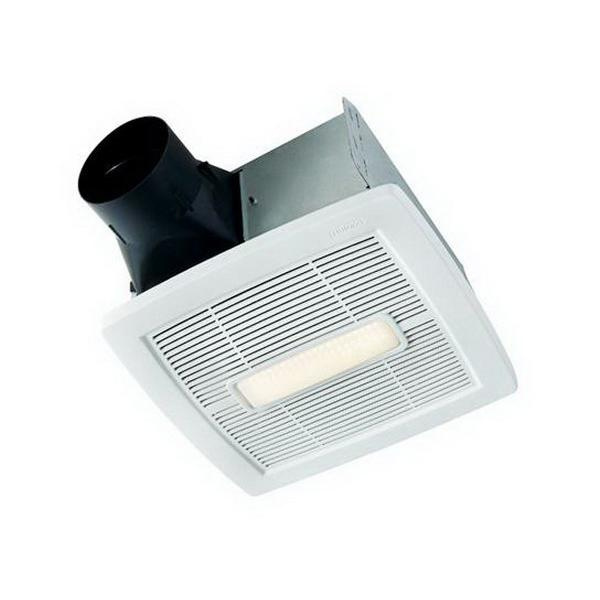 Ceiling mountable fan has white polymeric grille that measures 11-7/16-Inch x 12-1/8-Inch. TrueSeal™ damper technology reduces air leakage. Permanently lubricated motor allows for continuous operation. Dynamically balanced centrifugal blower wheel offers quiet, efficient performance. This 11-Watt integrated LED lighting offers energy efficiency. Fan is cUL listed.